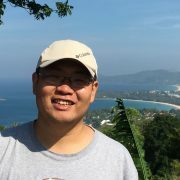 I received my Ph.D. in Computer Science and Technology from Tsinghua University in 2015 and B.S. degrees in Software Engineering from Beihang University in 2010. I was as a visiting student in UCLA from September 2013 to September 2014. I joined MSR Asia in July 2015. My research interests are computer networking and networked systems. My recent work is focusing on Hardware-based System in Data Center.